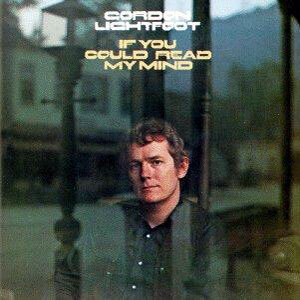 In keeping with this week’s de facto celebration of Canadian music, here’s a Johnny Cash cover of Gordon Lightfoot‘s 1970 hit, “If You Could Read My Mind.” If you’ve never heard the song before, and part of it sounds familiar, you might be familiar with Whitney Houston’s “Greatest Love of All.” Lightfoot sued its songwriter, Michael Masser, alleging that Masser lifted part of the melody (“I don’t where we went wrong, but the feeling’s gone, and I just can’t get it back” in the Lightfoot song lines up with “I decided long ago, never to walk in anyone’s shadow” in the Houston version). They settled out of court and Masser publicly apologized. Needless to say, the Johnny Cash version (and even the Lightfoot original) blows the Whitney Houston song out of the water.